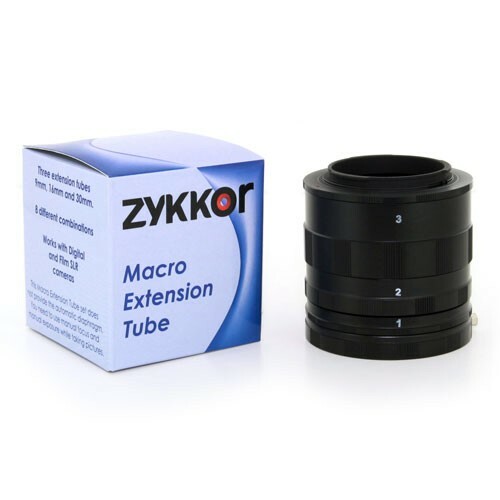 Zykkor Macro Extension Tube Setfor Pentax K/PK mountMacroExtension Tube set for Pentax K/PK film & digital SLR iscomposed of 3 extensiontubes - 9mm,16mm, and 30mm with maleand female Pentax bayonet adapters. 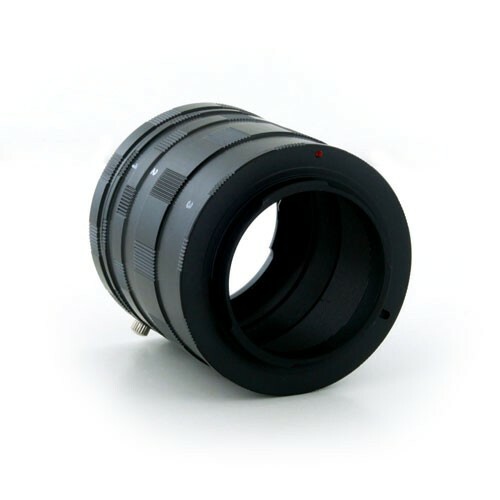 Mountthe tubes between lens and camera body to get your choice ofmacro ranges - 8combinations in total. Mounting ExtensionTube in between the camera body and lens will create more distancebetween the lens and film plane. 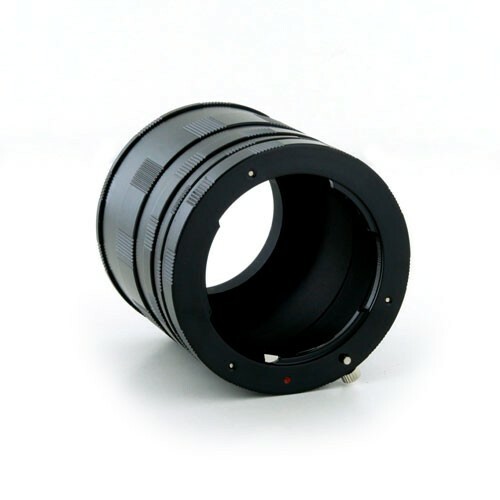 By moving the lens further away fromthe film or digital camera sensor, the lens is forced to focus muchcloser than normal. The greater the length of the extension tube, thecloser the lens can focus.Usethis set with your normal lens and you will get thequality, which is as good as the original lens and the size,sharpness and versatility is perfect for the macro andclose-up pictures.ThisMacroExtension Tube set does not have electrical contacts and does notpreserve the automaticdiaphragm. You need tousemanual focus and manual exposure while shooting.The newer cameras anddigital SLR's will automatically go to the manual metering mode onceyou have the tube set on.